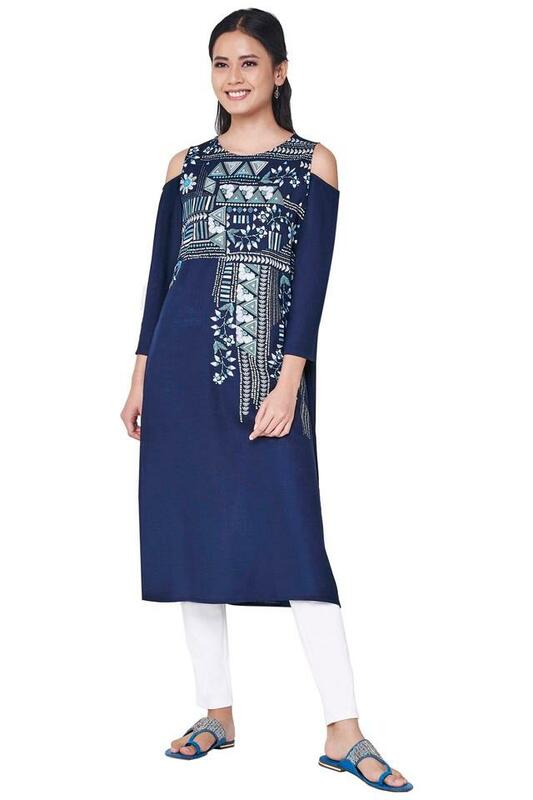 Opt for casual simplicity with this kurta from Global Desi. Made from good quality fabric, it will provide you with immense comfort throughout the day. 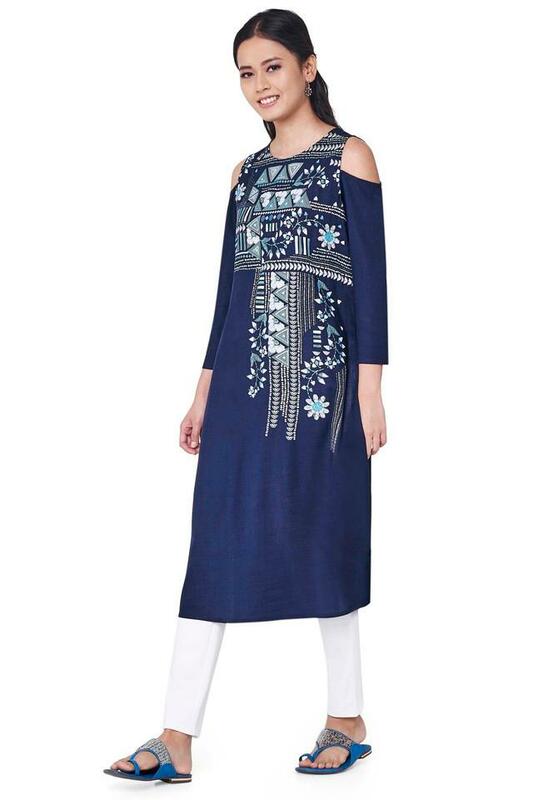 Featuring a round neck and printed pattern, this cold shoulder sleeves kurta boasts of enticing gracefulness. 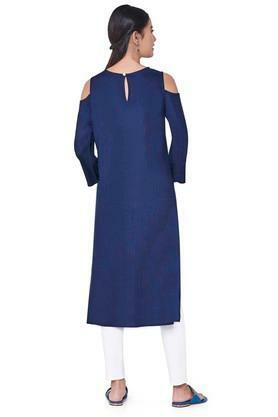 Express your beautiful curves with this kurta. Team this kurta with a pair of sandals and carry a sling bag to complete the look.